This site offers an interactive tutorial that emphasizes graphical interpretation of chemical kinetics. 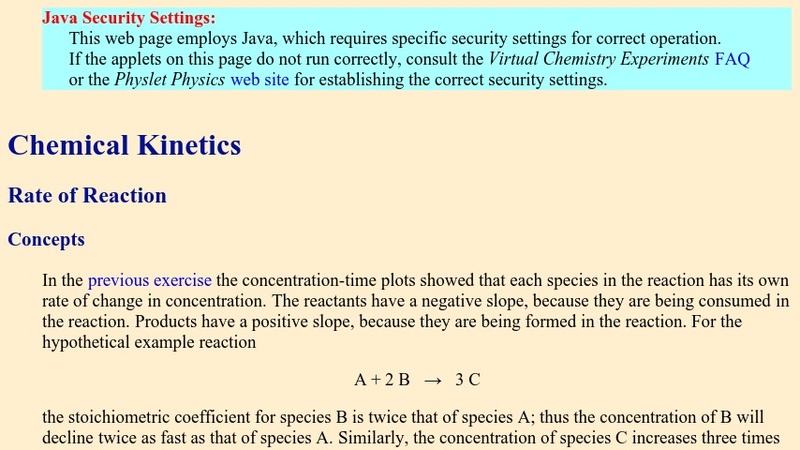 The stoichiometric coefficients for a chemical equation are determined by comparing the slopes of concentration-time plots for the reactants and products. This tutorial is coupled to others to further guide the student to a better understanding of chemical kinetics.